Lara is nearly 8. 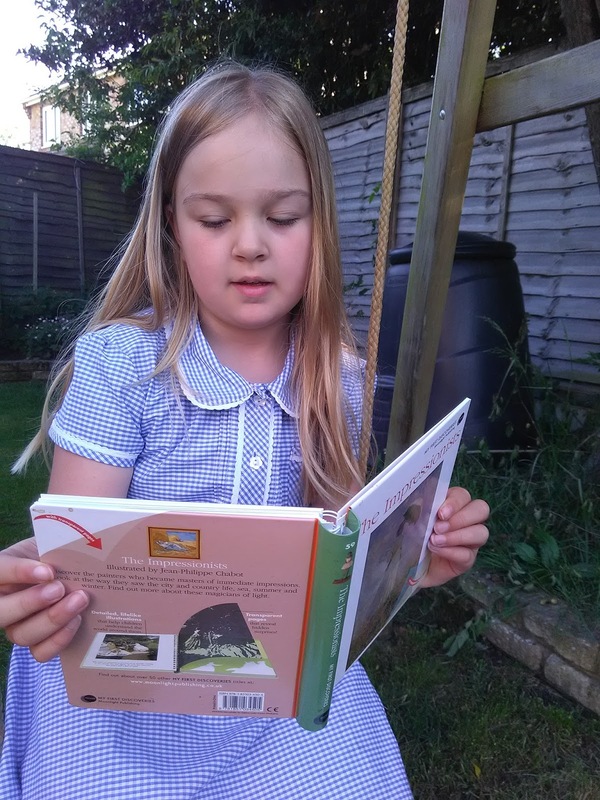 Just like me, she is a natural academic and yet her favourite subjects at school are all creative - Lara loves art and recently she has been learning about different artistic styles. 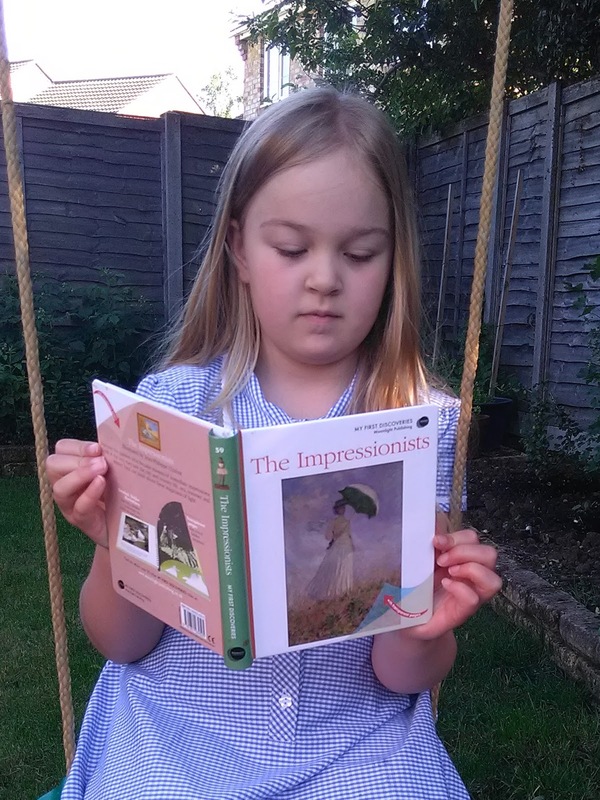 Boolino sent her a copy of The Impressionists, a hardback spiral bound book that is part of the My First Discoveries range by Moonlight Publishing. The Impressionists is a short introduction to the styles of the most famous impressionist painters. Lara found it interesting to think that before the 19th century, people painted for fact, not for feeling. The book explains how the impressionist movement focussed on capturing the artists own impressions of the world around them including use of light, movements and feelings. 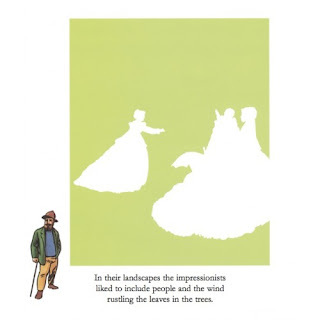 The pages of the book are board but this little guide to impressionism cleverly uses transparent pages and cut-out pages to help highlight specific parts of some of the paintings. The last few pages of the book include images of some classic paintings from Monet, Pissarro, Seurat, Cezanne, Van Gogh and more. I think Lara found this a handy little introduction to the impressionist movement. She and Holly both seemed to "get" it when they saw three different paintings of the same cathedral in different light conditions. Lara has read through it a few times and I can see her taking it all in. There isn't a lot of content in The Impressionists and I can't see either girl going back to it as reference, even if they are working on a school project, but I am pleased that it gave them some insight into some of the worlds most famous artists and perhaps a spark of artistic inspiration.